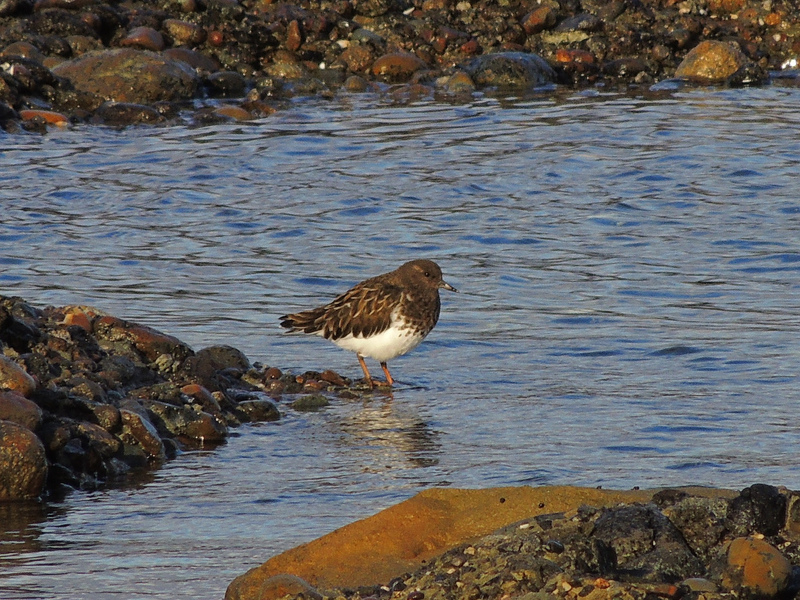 Black Turnstone on Hornby Island. Photo by Barb Biagi. Art Martell, one of our summer 2015 speakers, brings groups over from the Comox Valley occasionally to spot birds. He has an amazing amount of knowledge to share. The list below is of species that the group heard or spotted during the walk. As the list makes clear, we have an abundance of natural diversity on Hornby! From Comox Valley Nature: Fifteen birders enjoyed a beautiful day on Hornby on Sunday. First we went to Sandpiper Beach for shorebirds, then to Art and Sue’s cabin for lunch, and then a walk around the Helliwell Provincial Park loop trail. Highlights were many Black Turnstones, a few Black Oystercatchers and a Surfbird at Sandpiper Beach. Nearby a Western Meadowlark was seen. Photo of a black turnstone by Barb Biagi.